The Supreme Court has ruled that private technical and medical colleges demanding capitation fee from students is illegal and unethical. The apex court has asked the centre to make laws to put an end to such practices which deny admission to meritorious financially poor students in those institutions. The court issued the order while rejecting a petition filed by a Bareily-based medical college which had approached it against the Medical Council of India (MCI), for not allowing the institution to increase the student intake. 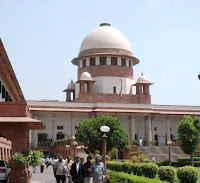 “Collection of large amount by way of capitation fee running into crores of rupees for MBBS and post-graduate seats, exorbitant fee, donation etc, by many of such self- financing institutions, have kept the meritorious financially poor students away from those institutions,” SC said. 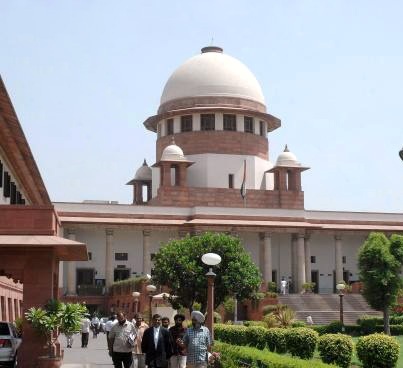 “Pressure, it is also seen, is being extended by various institutions, for the additional intake of students, not always for the benefit of the student community and thereby serve the community, but for their own betterment,” said a SC bench of justices K S Radhakrishnan and A K Sikri. The bench noted demand for capitation fee continued despite earlier SC verdicts condemning it. In its judgment the court has advised the Centre to frame a law to put an end to such practice. The court said that quality of education has gone down in private colleges which are turning into students financing institutions. It said that government agencies need to introspect on the issue to bring proper legislation. “We cannot lose sight of the fact that these things are happening in our country irrespective of the constitutional pronouncements by this court in TMA Pai Foundation case that there shall not be any profiteering or acceptance of capitation fee etc,” it said. “Central Government, Ministry of Health and Family Welfare, Central Bureau of Investigation or the Intelligence Wing have to take effective steps to undo such unethical practices or else self-financing institutions will turn to be students financing institutions,” it ruled. The court also said that mushrooming of large number of medical, engineering, nursing and pharmaceutical colleges has definitely affected the quality of education in this country, especially in the medical field which call for serious introspection. The court said that private medical educational institutions are always demanding more number of seats in their colleges even though many of them have no sufficient infrastructural facilities, clinical materials, faculty members, etc. “We, therefore, emphasise the extreme necessity of a parliamentary legislation for curbing these unfair practices which is the demand of our society,” it said.